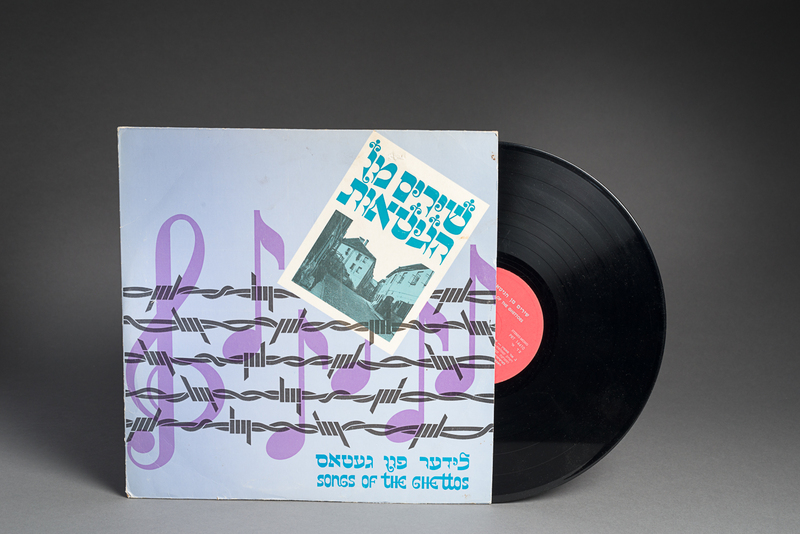 This vinyl record has a purple cover with musical notes and a barbed-wire design. 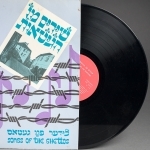 The singer Shlomo Kaplan, who recorded this album in 1974 in Israel, sang popular Jewish songs that were often heard in the ghettos during the Holocaust. 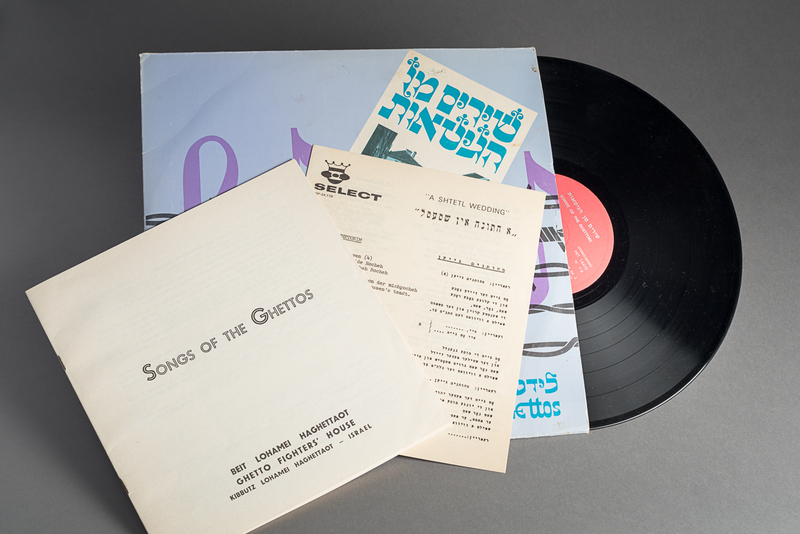 Playing traditional Jewish songs in the ghettos was a means of cultural resistance. 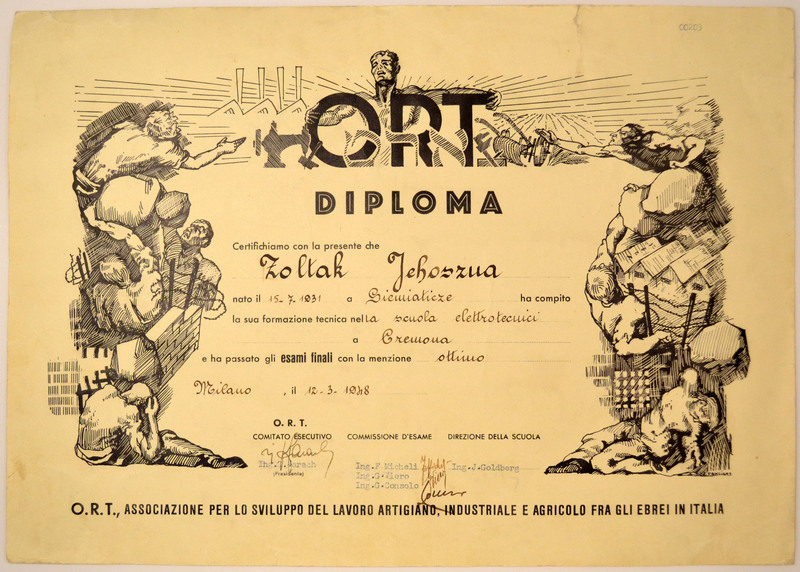 It allowed ghetto inhabitants to express their cultural identity despite being oppressed by Nazi policies and living in dire conditions. 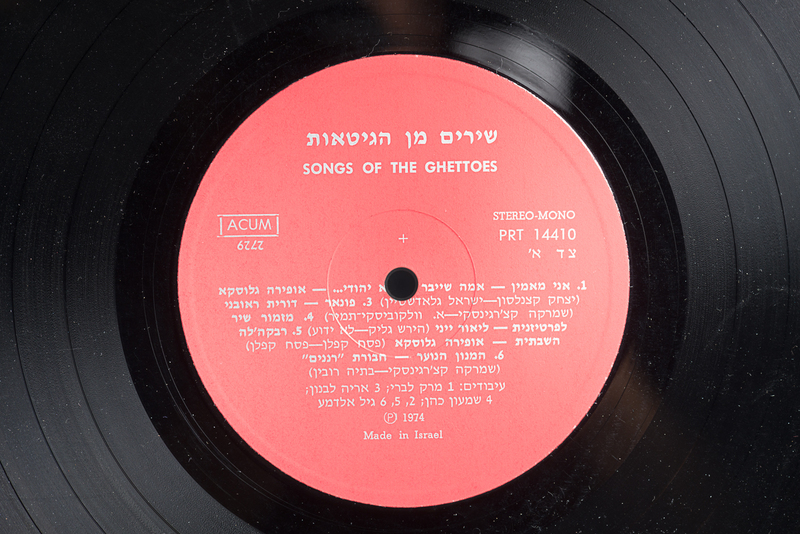 Music became a way for Jews living in ghettos to keep their faith and culture alive as well as maintain their dignity. 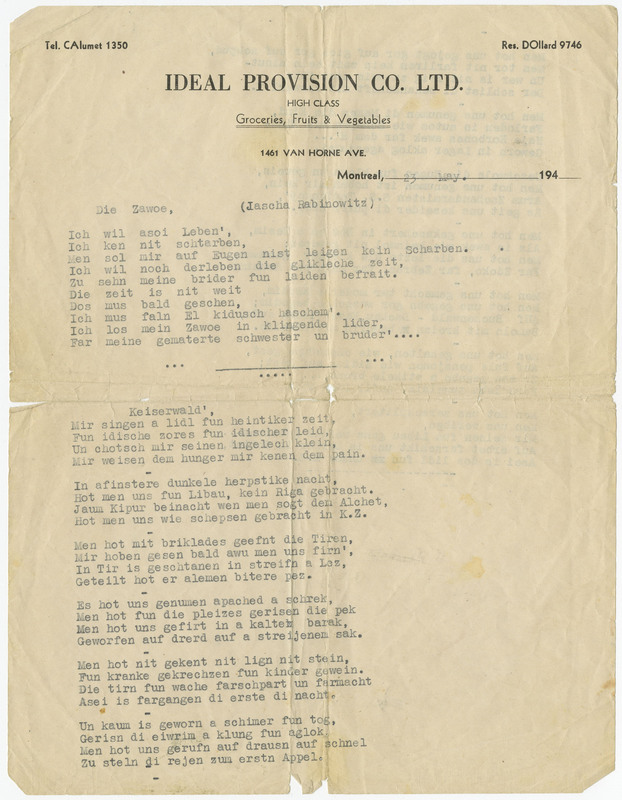 After the war, playing these songs became an act of commemorating of the Holocaust. The first title of this album is Ani Ma’amin, ‘’I Believe’’, in English. 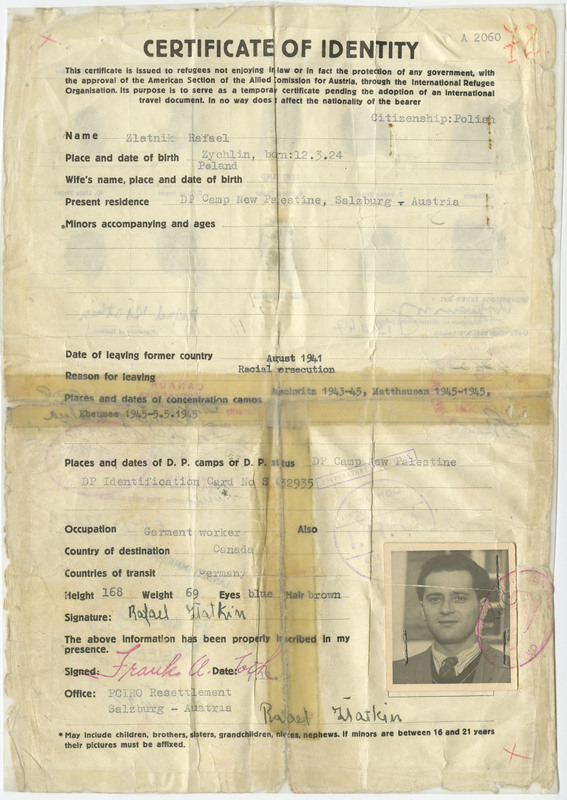 The lyrics were inspired by faith in the Jewish religion and are a testimony of spiritual resistance during the Holocaust. It is thought that this song was written by Reb Azriel David Fastag in a deportation train to Treblinka. 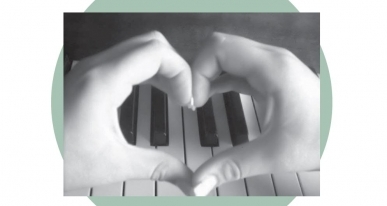 This song was also sung by prisoners in Nazi concentration camps during the Holocaust. Ani Ma’amin is often played at Yom HaShoah, the Holocaust Remembrance day. This day is held on the 27th of Nissan in the Hebrew calendar, usually in April or May in the Gregorian calendar.